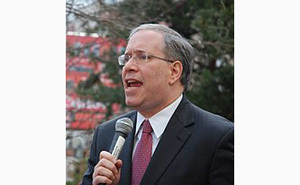 Comptroller Scott Stringer. Announced in the latest quarterly analysis that NYC hit a record low for unemployment of 4.2%, The NY Post reported. It was only a slight dip from the 4.3 percent unemployment rate measured in the first quarter of 2018, but the difference this quarter was all 5 boroughs hit a new low. The number of employed New Yorkers also hit a new high of 4,049,200, Stringer’s office said. This trend seems to match with what is going on nationwide with the unemployment rate under President Trump. The US unemployment rate fell to 3.9 percent in July 2018 from 4.0 percent in June, matching market expectations. The jobless rate touched an 18-year low of 3.8% in May. The number of unemployed persons declined by 284,000 to 6.3 million and employment was almost unchanged at 156.0 million. Unemployment for Hispanic workers again plumbed a new record low in July, the Bureau of Labor Statistics reported recently. The unemployment rate for Hispanic or Latino workers fell to 4.5 percent in the month, lower than the previous record of 4.6 percent that was set just the month before, Washington Examiner reported. Hispanics and Latinos make up 27.5% of New York City’s population. According to the American Community Survey, there were 2,287,905 Hispanic or Latino Americans residing in New York City. Queens had the lowest rate at 3.4 percent unemployment, with Manhattan at 3.5 percent and Staten Island at 3.9 percent. Brooklyn’s unemployment rate was 4 percent this spring and The Bronx was at 5.3 percent, the NY Post reported. “ These numbers are good signs, but there are risks to the continued expansion between rising federal deficits and a possible trade war, it is more important than ever to prepare for the future”, Comptroller Scott Stringer cautioned. Real estate sales also took a hit in Manhattan, Queens and Brooklyn, and government jobs were down 1 percent. The 1,200 new office worker jobs added in the second quarter of 2018 was also the lowest 3-month increase since late 2009.